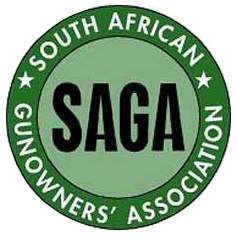 SAPS 520 GUN PERMIT APPLICATION Form , Invitation & Information. SAPS 520 is the form you need to import your guns into South Africa. It must be completed in ENGLISH - no other languages are accepted ! We recommend doing a pre approved permit with Afton House Safari Lodge in Johannesburg who are only 5 minutes from the airport for peace of mind, no hassle and any changes in procedure or SA gun laws, Afton will know about immediately because they do many pre-approved rifle / gun permits and Richard Holmes Safaris may not know about changes in time. Afton may also store your rifle for you if you are wanting to go on a tour and not have to worry about your rifle - the storage fee is $ 50. Ram Couriers in South Africa may transport your rifle for you, eg. at hunt end drop rifle off at RAM in PE and they deliver it to Afton - RAM fee is about $ 100 for transporting a rifle case to Joberg. Then on your arrival back in Johannesburg you will be taken by the Afton rep to get your rifle at Afton and will be returned to the Joberg airport to fly home - no rifle hassles ! RAM couriers contact and courier set up can all be done by you on line ! NB: Do not give any official e.g. SAPS ( SAPS = South African Police Service = the Police ) officer, nor any Security personel any money – it is illegal. For you own sake, ignore anything like this, as the officials know the law and you giving a bribe makes you as guilty as the person accepting it !! If you have any trouble like being solicited for a bribe by officials in South Africa and your guns' paperwork, visa if applicable, airplane tickets and all of your documents are all Correct then ask the person giving your trouble to call their supervisor or manager and this usually does the trick or you must contact your countries Embassy in South Africa to assist you and inform the soliciting offical you are contacting your Embassy. So have your embassy phone, their after hours phone and their email on you. This is one of the reasons we use Johannesburg based Afton Guest House Reps, because they protect you from such solicitations, all be it that solicitations for bribes rarely happens. RHS will send you a blank SAPS 520 permit application (1 permit for every hunter carrying guns to SA). RHS will send you a “Letter of Invitation” that you attach to your completed SAPS 520 form. RHS have made up a list of what to fill in and what to ignore on the SAPS 520 form – see below – Please follow it exactly – Most importantly: ONLY SIGN SAPS 520 WHEN in SA and when standing in front of the SAPS officer. If you do pre approved permit then sign the form before you email it to Afton. South Africa Police Service ( SAPS ) are very strict about this gun permit application so it MUST be done correctly. You must Fill in SAPS 520 in BLACK ink. This must be given to SAPS in Johannesburg on your arrival in Africa. BEFORE you start to fill out the gun permits for safety purposes make a copy of the blank form I send you, in case of a mistake. Blank SAPS 520 form - in case you made a mistake filling it out. COPY of Passport - preferably certified/notarized, the first 2 pages of your passport- pages with your picture. COPY of Round trip airticket. COPY of Letter of Invitation - this RHS will email you when we have your full names, addresses and passport numbers from the contract we send you on booking. COPY of Letter of Intent - eg. LETTER OF INTENT , "To whom it may concern" , I Jack Frostie, intend to hunt in South Africa and use the listed firearms ( list the guns which are listed on your US 4457 with all information same as on US 4457 form ) . 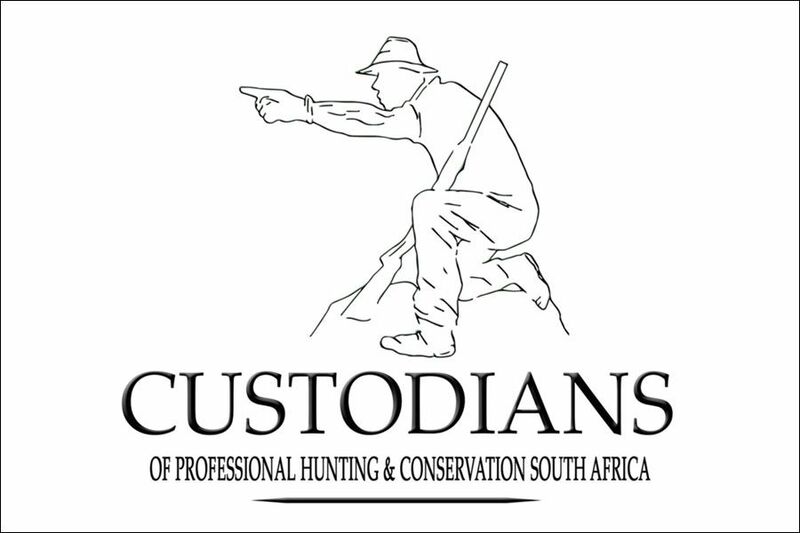 Some of the species I intend to hunt are….. and signed & dated for your arrival date in Johannesburg / SA. COPY of Customs declaration form US 4457 which must be an unexpired form ( see date on the form in the top tight hand corner ) and the completed form must not be older than 6 months from your arrival date in SA. The US 4457 from must be SIGNED and STAMPED by your Customs or your Government official, proving that the guns you are bringing are your property and are fully detailed on such form - preferably certified / notarized - get this at your local US Customs office/ Your countries Customs office. This document also protects you when you return home from your own countries' customs, proving the rifle/s are your property and you did not buy them outside country on your safari, so you cannot being charged import taxes, which also applies to expensive equipment like binoculars, range finders, computers etc. 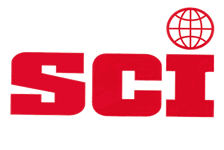 , which can also be listed on your US 4457 / Export form from your Country. Have Originals of all the above Documents handy when you are getting your gun permit in Johannesburg South Africa ( SA ) - unless you are doing a pre approved permit, But it is good to bring originals anyway just in case. Follow SAPS 520 steps ( see how to fill in SAPS 520 ) and you will not have a problem and you will breeze through SAPS - many of our hunters in the past have had NO problem with their gun permits and did the paper work themselves. SAPS 520 form must be completed in ENGLISH - no other languages are accepted ! If you want there are Reps in SA who will take care of gun permits for you. They charge ~$ 100 per permit/person and we recommend Afton houses’ gun permit rep to do this for you for your own peace of mind and in case there are any errors in the paperwork Afton will pick it up BEFORE, so when you arrive your permit is all ready for you. You then send all the above documents to Afton and you will then get a pre approved gun permit before you leave home for your peace of mind. NB : Check your Gun Permit before you leave SAPS in Johannesburg, that SAPS have filled out the correct firearm SERIAL numbers and other information on your Gun Permit !!! X in box 5, if only hunting RSA. fill in 4 - 24. NB : ONLY complete ALL of 4 & Section J when in front of the SAPS officer in Johannesburg or Before, but ONLY if you are doing a preapproved permit. Ignore the rest of the form. Painful but done right, with all the required docs it goes fine - Afton Reps are also a big help - find them first when you arrive in Johannesburg.